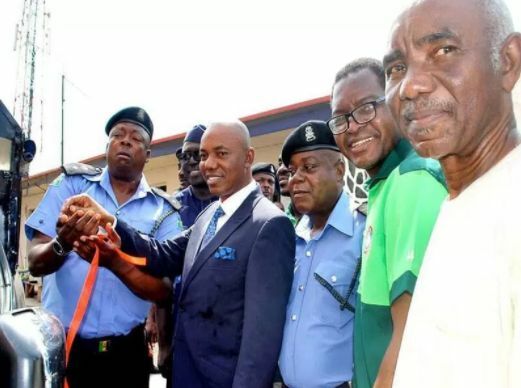 The Redeemed Christian Church of God, Lagos Province 44, has renovated four police stations in Surulere area of the state as part of its corporate social responsibility (CSR). The church said the CSR initiative and investment was a way of positively impacting the quality of lives in the communities the parish is located. According to the Pastor in Charge of Province 44, Amos Emovon, the renovation of the stations is sequel to the implementation of various interventions in education, medical care, poverty alleviation, youth development, food for all initiatives and empowerment by the church. ensuring safety, protection of lives and properties, and to also create a conducive environment for social economic growth and development,” he stated. He said the latest intervention included the renovation of the reception area, the entire lobby, the station officer’s office, front fence and painting of the Ijesha Police Station, and that the station also received some security equipment such as walkie-talkies and handcuffs; while Itire Police Station also received some security equipment as well as refurbishment of patrol vans and painting of the building. Aguda and Bode Thomas Police stations, he added, also received walkie-talkies and handcuffs. The DPO Itire Police Division, CSP Bunmi Ogedengbe, who spoke on behalf of others, said the intervention would go a long way to assist the police in the effective discharge of their duties.